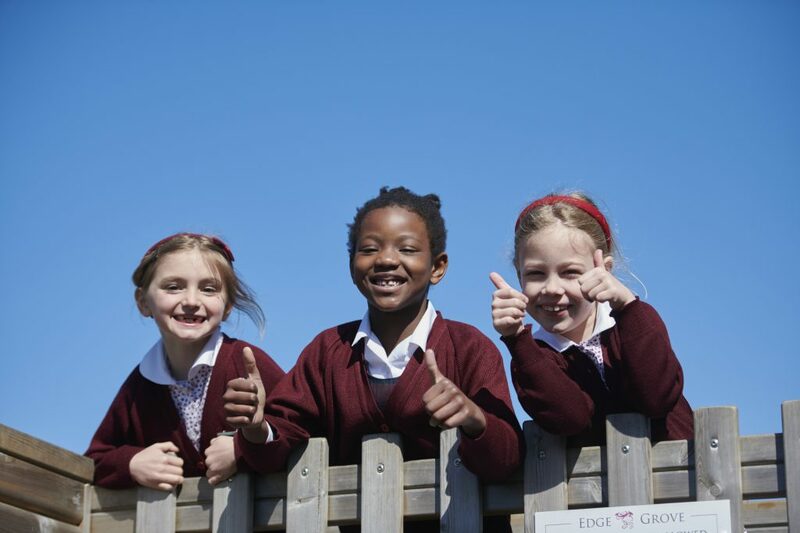 In Years 1 and 2 we are three-form entry, with class sizes of 18. Each class has a class teacher and a learning assistant. In this Key Stage, form teachers are responsible for teaching their classes the majority of academic subjects, with additional specialist teachers for French, Art, PE and Music. Written homework is gradually introduced and all children are expected to read daily and learn spellings each week. In Years 1 and 2 we offer a structured literacy and numeracy programme which enables the children to investigate, work collaboratively and extend their understanding. Children take responsibility for their learning and we encourage pride in this independence and reward individual achievement. Each personal success is celebrated and shared in order to build on self-confidence and esteem. Rigorous observation and assessment procedures are used to make informed decisions on future targets for each child. This, combined with frequent communication with parents, enables school and home to work together in ensuring the all-round development of our children. Communication and good relationships between staff, parents and pupils are essential if children are to flourish and fulfil their potential. Parents can discuss progress with teaching staff at any time, as well as by attending the regular consultations held each year.